CV3 Build ideas and tips. This page will develop in due course and will see new ideas as they come to fruition. 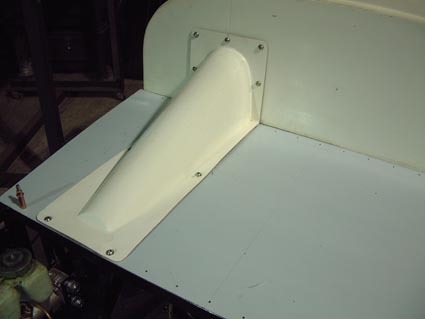 The pictures below show the new steering column cover attached to the new aero scuttle. 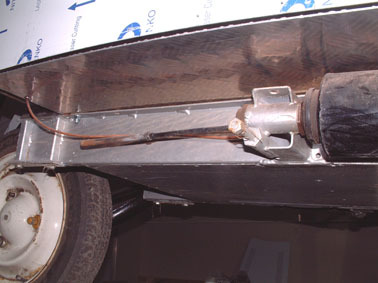 Here you can see the new style steering column that totally replaces the old Citroen 2CV column. Note the upper u/j, in fact there are 2 u/js. 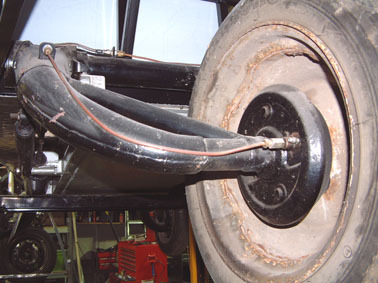 We still need your donor 2CV column though as we weld the original spline to the lower end of the lower column. 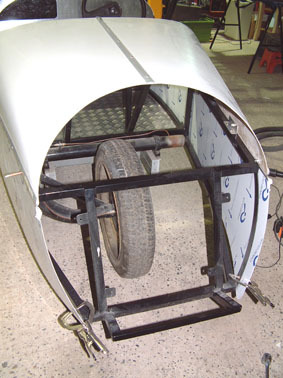 The scuttle shown in these pictures is the aero scuttle which costs an extra £45 to the standard scuttle which is priced in the initial kit. 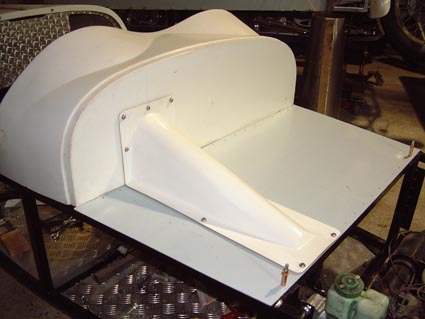 Here can be seen the grp cover which encloses the steering column. 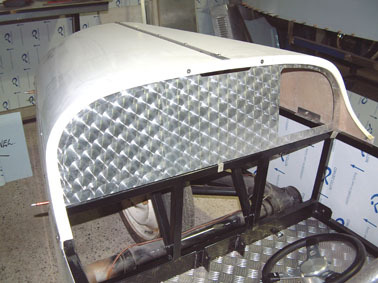 This cover is available as an extra fitment, at cost. 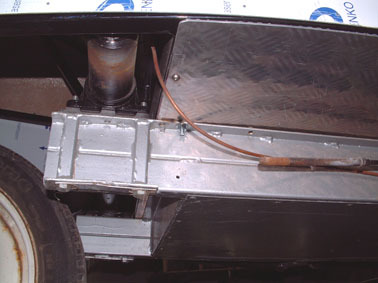 To the left (right as you look at this shot) of this the fuel tank will bolt down. 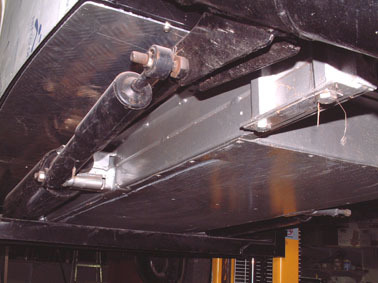 These two shots show an aluminium dash blank with just a glove box cut out. 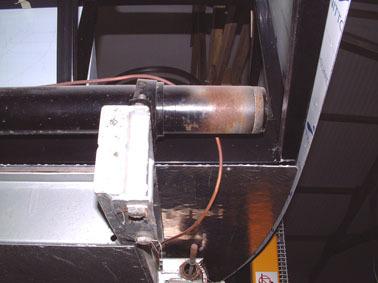 We have a grp glove box insert, which is extra. 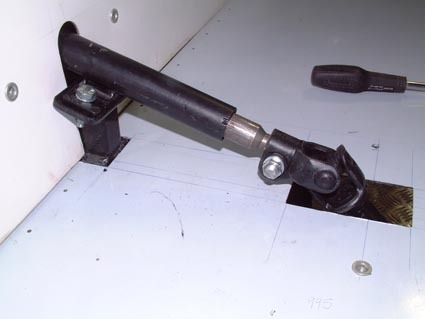 This enables you to fit instruments of your choice. 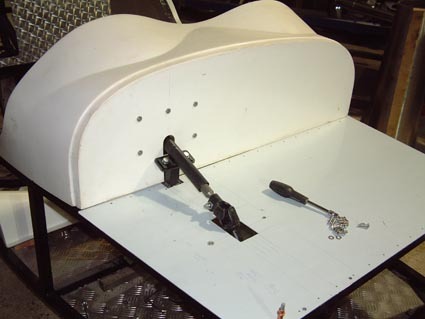 Instruments tend to be 80mm in diameter, in fact our MG3 dashboards are specifically drilled for 80mm Moto Guzzi instruments. 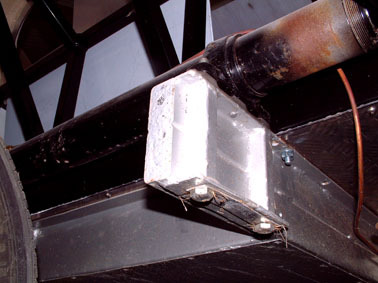 The dash blank is an additional £45. 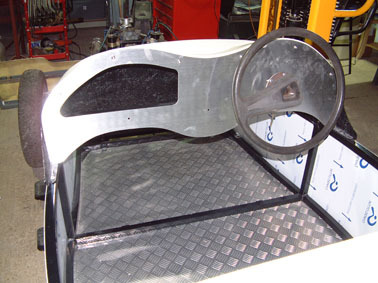 You can also see the difference between the standard Citroen 2CV steering wheel (hideous!) 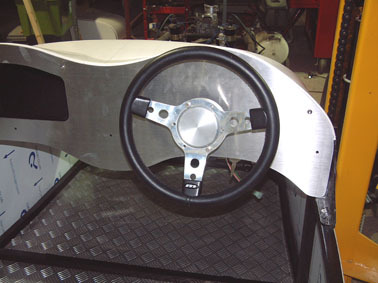 and a smaller Mountney steering wheel fitted with one of our aluminium bosses attached to an Astrali splined boss. 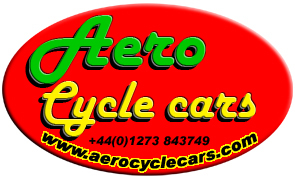 You will need an Astrali boss (available from us for £20). The modern Mountney bosses are ugly! 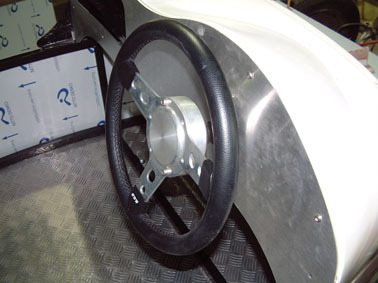 On the left is the Astrali boss fitted to one of our modified steering columns, with another shot of the Mountney wheel. 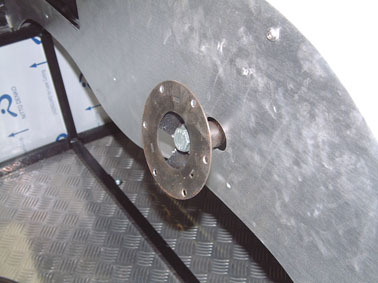 Incidentally, MSVA will not accept holes in the steering wheel spokes! 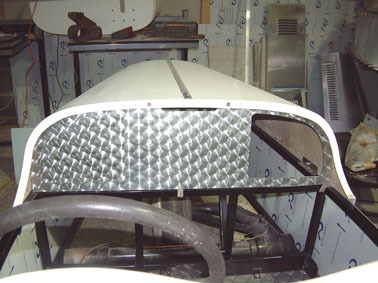 These two shots show the rear bulkhead fitted to the rear grp cover. 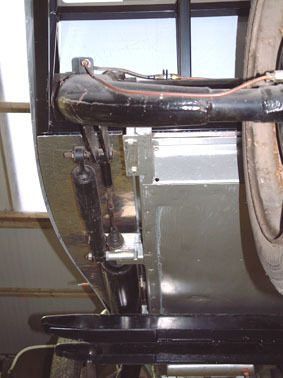 There are two cut outs which can be hinged. 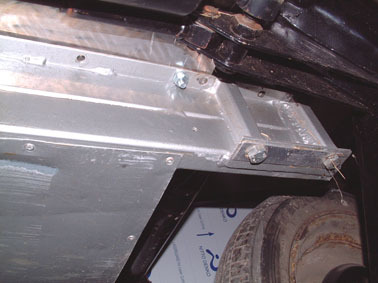 The standard version of this bulkhead is plain 3mm aluminium. If you get a circle polished version, that is a bonus, there is no choice in the matter once the circle polished versions have gone. In any case it is all behind the seat. 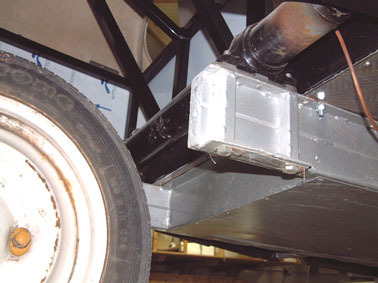 The following shots might help you understand the chassis and suspension components. 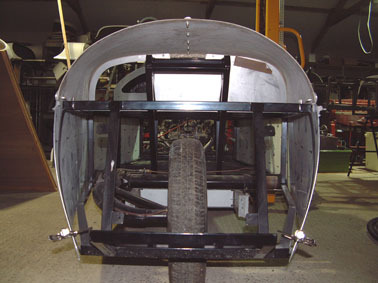 You can see in the shots above where you need to truncate the standard 2CV chassis if you haven't bought a specially converted after market chassis. 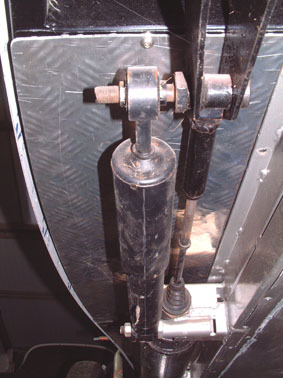 The shot on the right shows the extended "Knife edge" connecting rod. 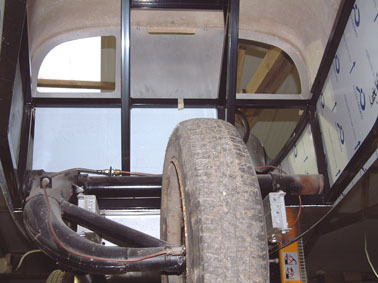 Note the bolt holes enabling the body frame to be bolted to the chassis. 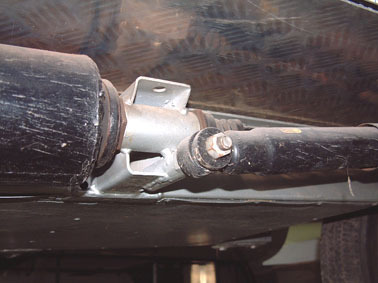 These two shots show the suspension components in close up. This is the left hand side. 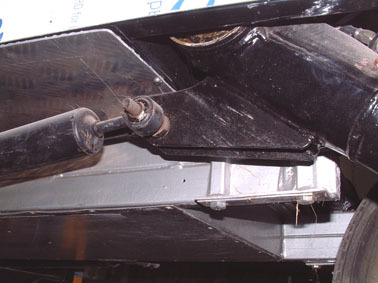 The shot on the right shows the right hand side and you can see that the truncated arm and interlinking kit together with shock absorber and extended bolt, have not yet been fitted. 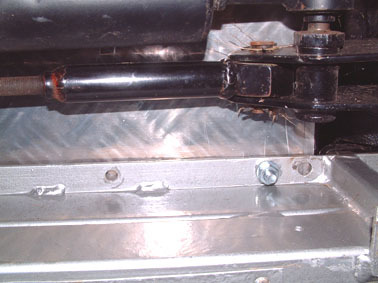 The left hand shot shows the axle awaiting the truncated arm and bearing, into which the interlinking kit is inserted to connect both arms, even though of course, only the one is fitted and takes the rear wheel, as shown on the right. 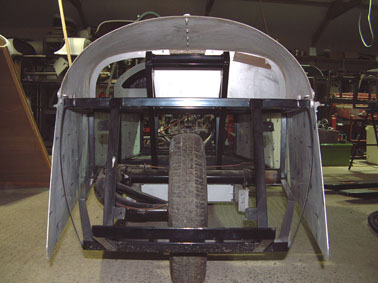 The last four shots show the rear end of course, open, prior to fitment of the 5mm aluminium rear cover, the "barrel end", to which the spare wheel is fitted. 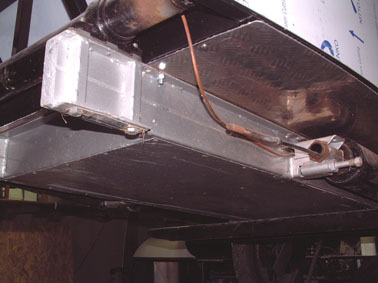 There is a lot of storage room in the rear of the CV3. 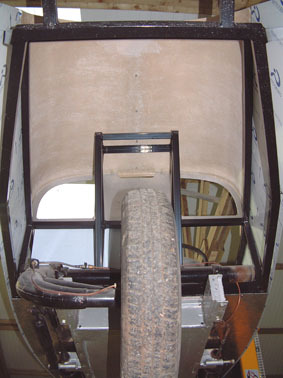 The centre frame is for the upper seat belt location points.